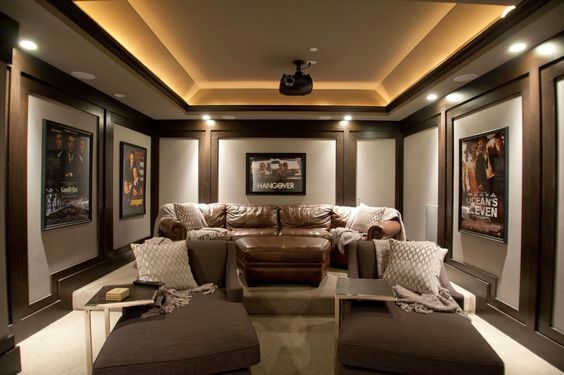 As a custom home builder, we're always thinking of ways to help our clients personalize their spaces - and the basement is a great space to pull some customized elements in to. We love seeing how our clients' personalities, hobbies, and style can be pulled into with various features and speciality rooms. We've pulled together a library of images for our Oakley basements below. Check it out and let us know if there's anything we've missed that you'd want to do in your basement. 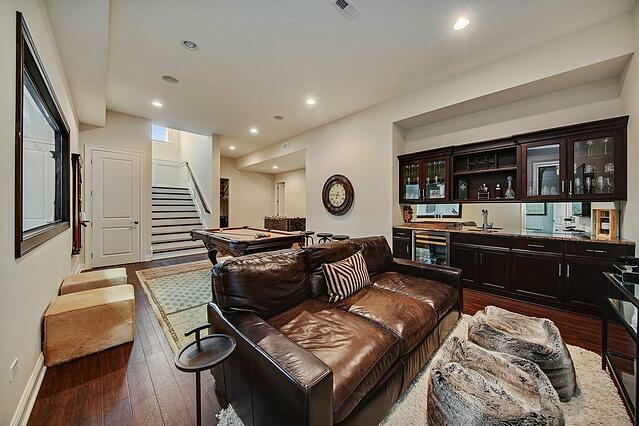 Expanded living spaces: There's nothing basement-like about our family room spaces. Sophisticated and well-appointed, they are rooms begging for some quality hang out time. 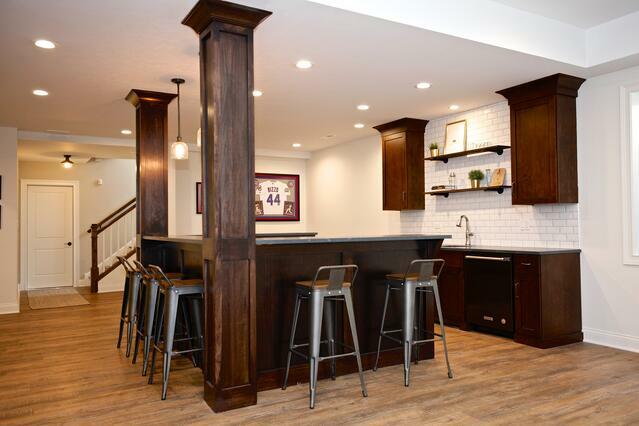 Basement bars: Love to entertain? From wet bars to full bars, we've got the finishes that draw a crowd. Guest bedrooms: With high ceilings and trim details that mirror upstairs bedrooms, your guests will love that their space feels welcoming and well designed. Theaters: Big screens, impressive sound systems and seating for a crowd make for an incredible space for movie nights. Exercise rooms: Flooring, mirrors and doors to mask the equipment are all great components of a solid workout room. Golf simulators: Midwest weathers can't hold you back from perfecting your swing! Playrooms: It's still a basement afterall, but containing the kids "stuff" is still pretty nice. Dedicated rooms for toys with built in organization keeps everyone happy and having fun. Wine cellars and tasting rooms: Cheers! These special spaces really raise the bar on storage and tasting. There are also plenty of options for how and when we finish your basement. If we're completing a custom home build for our clients, we work with their budget and goals to determine if they'd like to finish their basement from the start. 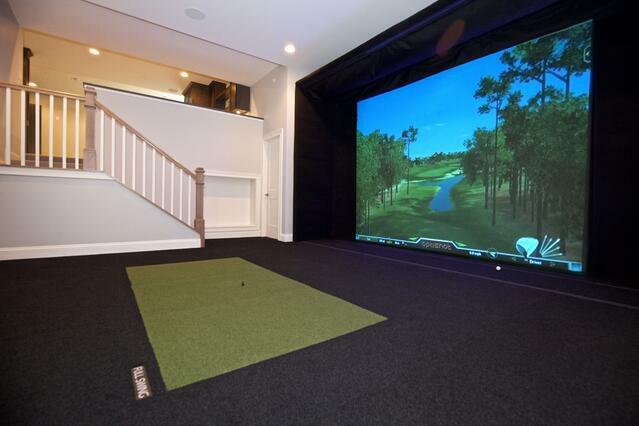 Often times clients decide to hold off on finishing their basement and focus their budget on the main floors. The option for this flexibility is great - but we still finish the home with a line of sight towards the future. This means we rough out plumbing in the basement, place the mechanicals in a practical place and do a deep pour basement. All of these elements ensure that when our clients decide to finish their basement down the line, that the space is perfectly primed for a fabulous basement space. 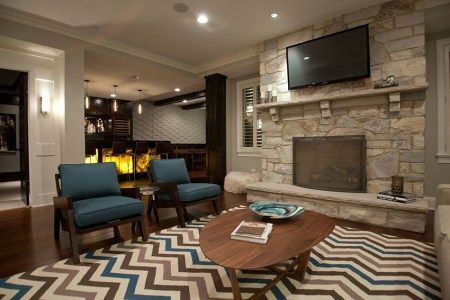 You can also check out some of our additional basement bar images at this board on Pinterest. And what if we didn't build your home? No problem - we can easily work with the space you have to maximize flow, function and design. With our in-house architect and well-planned timing we can finish your basement remodel in a few short months.